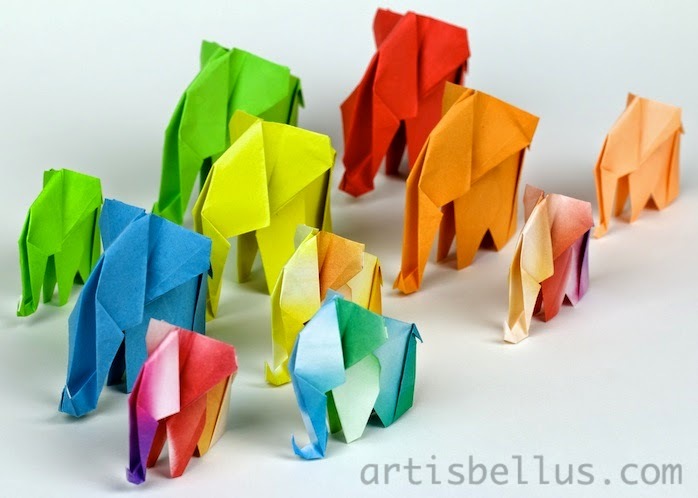 This herd of origami elephants is on its way to the ZSL Whipsnade Zoo, in the UK. The Zoo is trying to raise awareness of the plight of elephants by breaking the world record of the most origami elephants made and displayed. The goal is to create a display of 30,000 elephants, one for each Asian elephant left in the wild. 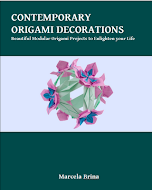 The origami elephants in the picture were designed by Nobuyoshi Enomoto. The instructions can be found in the book, Zoogami , by Gay Merrill Gross. 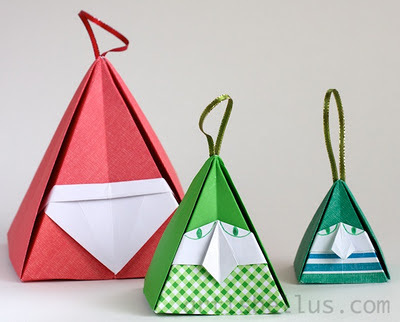 I folded them with 6" (150 mm) and 8" (200 mm) squares of origami paper. You can find more information in the Zoo webpage. I am searching elephant model. Could you send me elephant diagram. I have no change to order this book recently.